This event involves travelling 105 miles from Nairn, near Inverness on Scotland’s north-east coast, to the Isles of Glencoe on the west coast by running, cycling and kayaking. So a good event if, like me, you are not the best swimmer or easily get bored doing endless laps of a circuit. Entering the “Expert” category means completing in one day, whilst entering as a “Challenger” means completing in two. I entered as way of *celebrating* my 40th birthday and wanted to enjoy rather than flog myself, so chose the Challenger. 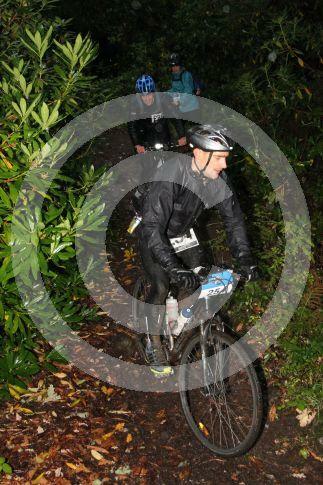 Richard Snow, who some of you may know from the Tuesday night run, came along too. Conditions for the start were glorious: bright sunshine, slight breeze, 10⁰C. It being a coast-to-coast race, you start on the Nairn seafront and run along the harbour before turning inland for a fairly gentle 7 mile trail run, through some woodland alongside a river and some fields. Like any trail run there is a lot of single track so if you want a fast time you need to be near the front from the outset and pick your moments to pass. 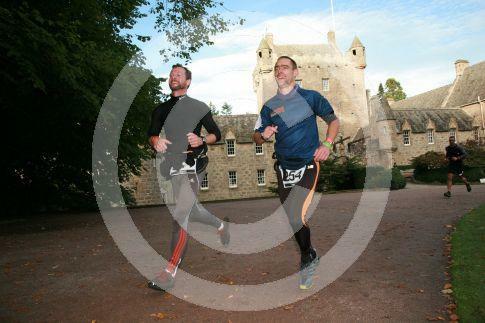 We clocked 57 minutes for this, bringing us to the first transition at the magnificent Castle Cawdor. The next stage is 48 miles of road bike, following the B-roads parallel with Loch Ness. Unfortunately you can’t see Loch Ness because it’s hidden by the mountains but there are others on view and the scenery is stunning – pretty hilly but not too bad apart from a handful of shortish but very steep inclines that have plenty of people getting off to push and me grateful for having my gears serviced before the race. The roads are good enough for me to start wondering if I should have brought my new road bike rather than the 10-year old iron horse hybrid I use to commute. It’s an enjoyable ride but I start to get a bit irritated by three people who draft me and Rich for ages without doing their share at the front. One of them eventually steps up but immediately drops the pace so much Rich decides to push from the front and we shake two of them off. This stage finishes with an exhilarating descent down a 12% gradient into Fort Augustus at the foot of Loch Ness. Time for the ride: 3:12. The day finishes with a short kayak across Loch Ness. This is a pleasant, scenic end to the day but feels like a bit of an add-on. It doesn’t achieve anything purposeful as afterwards you run back to the bike transition to time out for the day. Next up: massage, beer, fish’n’chips. The second day starts with heavy rain, strong winds and 33 miles of bike, mostly off-road and following forest tracks and mountain bike trails. Now, I am glad I haven’t brought my road bike – parts are quite technical, with rocks, mud and plenty of people falling off. Naturally, the photographers are stationed in little hides at these tricky points. My newly-serviced gears decide not to engage the granny ring any more so I have to complete the second half with only the outer two and gritted teeth for the slippery climbs. The ride ends in Fort William – we clock 2:52 for this stage. There is a half-hour grace period off the clock in the final transition to prepare for the 14 mile mountain run that follows. There’s a break in the weather and the sun shines for a bit as we make our way up through the forest, but as soon we make it to the open mountain more very heavy rain and eventually hail arrive. Here things become slightly farcical: due to the bad weather, the organisers decide to change to route, avoiding the planned summit and keeping to the West Highland Way. Unfortunately they omit to change the signs at a key point on the route, and loads of us head off up the mountain none the wiser. We have to ford a torrential waist-deep stream to do so. Luckily, before we start the ascent proper we are met by another group of runners who’ve been sent back down the mountain by a marshal. So it’s back through the stream to find the right path. The change of route means a slightly longer run and change of finish point, so the final stage of kayaking has to be cancelled. Weirdly, we also clock 2:52 for this stage, exactly the same as today’s ride. We are bussed around to the original finish point and are again let down a bit by the organisers – they are more concerned about lining us up for photos than the fact we are freezing, knackered, hungry and disorientated. We have a bit of a mission to find our bags to get warm dry clothes – no one is sure where they’ve been left or whether they’ve arrived – but thankfully we have got booked a room in the hotel at the finish line and they have a sauna so as soon as we find our stuff we’re straight in there. 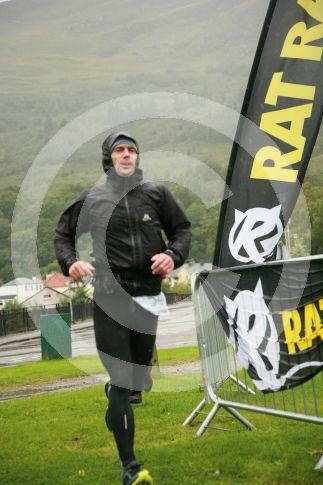 Total time: 10:19:14, and we came in 23rd and 24th overall. Not bad as neither of us would count ourselves distance cyclists. I don’t wear a Garmin and Rich’s died but you can access another competitor’s traces of the route from from last year here. If you enter and don’t fancy camping the night before, take up one of Rat Race’s accommodation packages because the local B&B’s fill up quickly and there aren’t many other options. Same for food although the Classroom Bistro in Nairn is very good. It can get very cold, even in September. I did the Excalibur marathon earlier this year shortly after the snow thaw wearing only a baselayer and waterproof but Scotland was colder – on Sunday I ran in two base layers, a thin fleece and a waterproof. Make sure your waterproof really is waterproof and get some waterproof gloves too. Don’t take your two grand TT bike.